Fresh fruit pies are heaven on earth when you make them with local fruit. Cherries, blueberries, and raspberries are all available right now so it’s the perfect time to set aside an hour to make a pie from scratch. 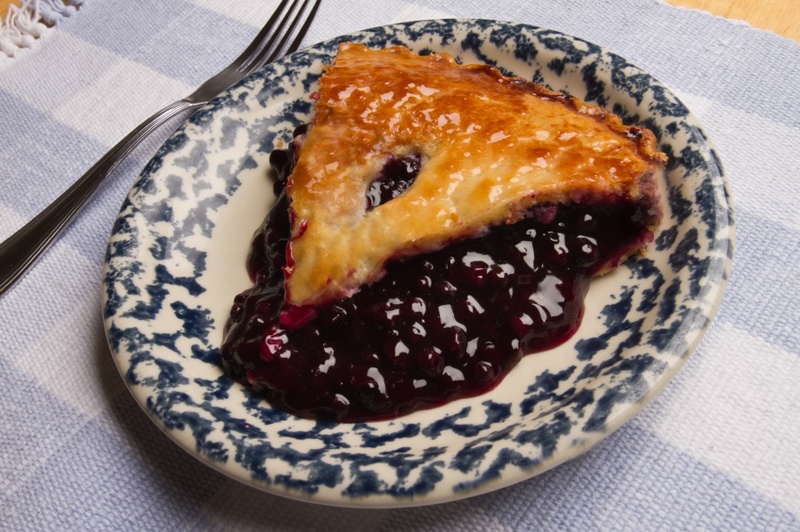 Making the pie crust yourself may seem daunting but the recipe below will ensure a great crust. Store-bought pie crusts just don’t compare to what you can do at home, so give it a try! The secret to a flaky, crispy crust is to keep the ingredients as cold as possible before and during the preparation. That will keep the little chunks of butter from melting into the flour and making a tough crust. Just follow this recipe and you will be on your way to a slice of heaven! Cut butter into 1/2 inch cubes and place in freezer for 10-15 minutes. Measure cold water and place in freezer to keep cold. Add butter to flour mix and pulse a few times, until mixture resembles coarse meal, with pea size pieces of butter. Add ice water 1 tablespoon at a time, pulsing until mixture just begins to clump together. If you pinch some of the dough and it holds together, it’s ready. If the dough doesn’t hold together, add a little more water and pulse again. Remove dough and place in a pile on a clean surface. Divide and shape the dough into two disks. Be careful not to overwork the dough. You should be able to see small chunks of butter in the dough. These chunks are what will make the crust flaky. Wrap each disk in plastic wrap and refrigerate at least 1 hour, and up to 2 days. Remove one disk at a time from the refrigerator. Let sit at room temperature for 5-10 minutes just to barely soften it enough to make rolling it out easier. Roll out with a rolling pin on a lightly floured surface to a 12-inch circle; it should be about 1/8 of an inch thick. As you roll out the dough, keep checking to see if the dough is sticking to the surface underneath. If necessary, add a few sprinkles of flour under the dough to keep the dough from sticking. Fold the dough in half and then in quarters and carefully place onto a 9-inch pie plate and unfold. Gently press the dough down so it lines the bottom and sides of the pie plate. If you have a lot of extra dough, use a pair of kitchen scissors to trim the dough to within 1/2 inch of the edge of the pie dish. Place in refrigerator.